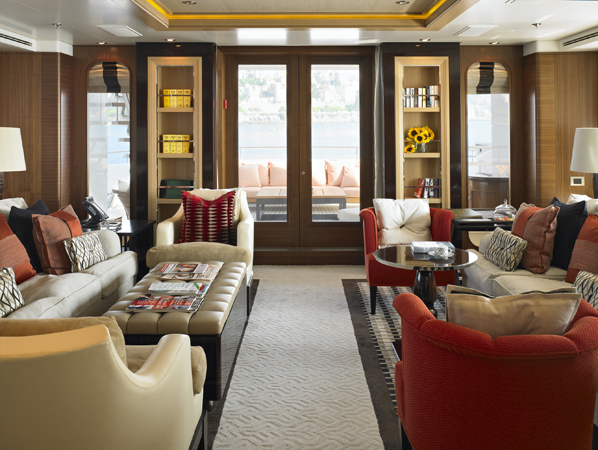 Luxury motor yacht “Cheeky Tiger” has a stylish modern look with interior design created by Tara Bernerd. 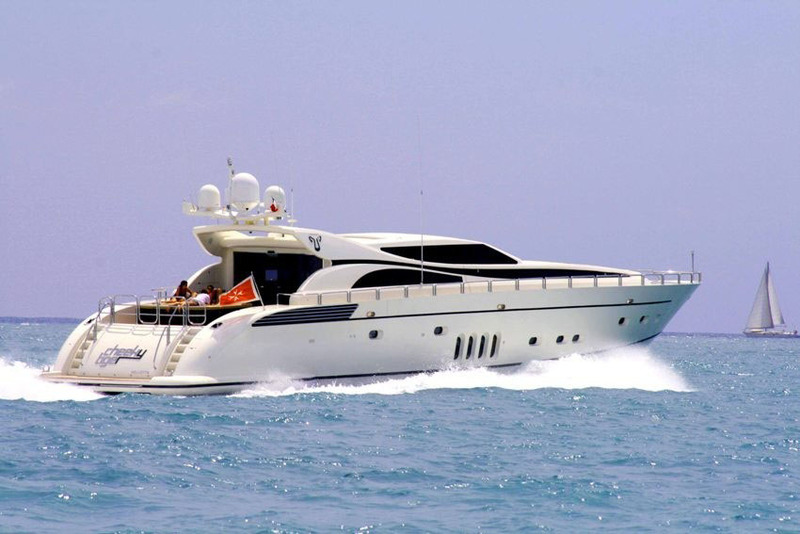 This 34 meter (111 foot) yacht features 4 cabins, a comfortable alfresco dining area and an interior open top entertaining area. 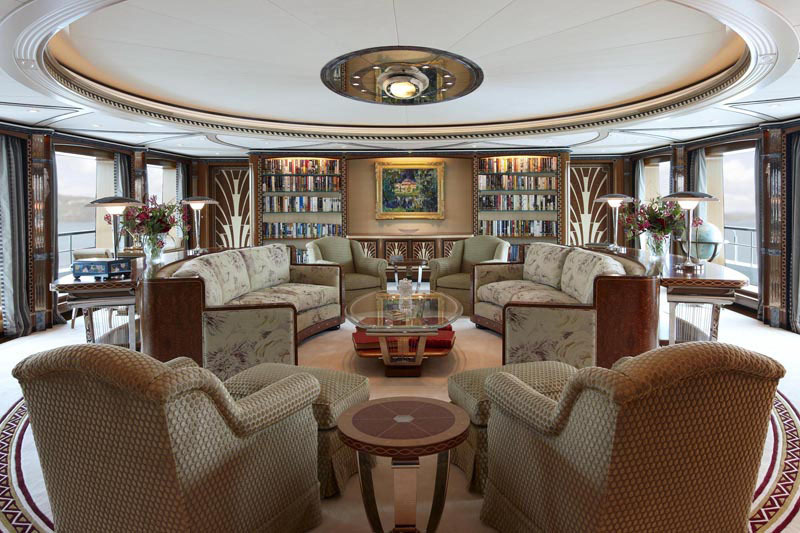 The interior design of superyacht “Lady Christine” by Rodney Black is stately with a nod to Art Deco. 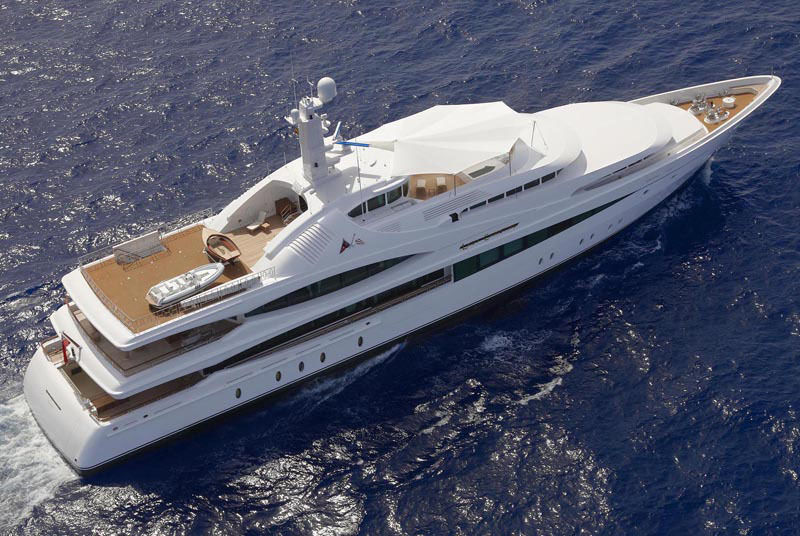 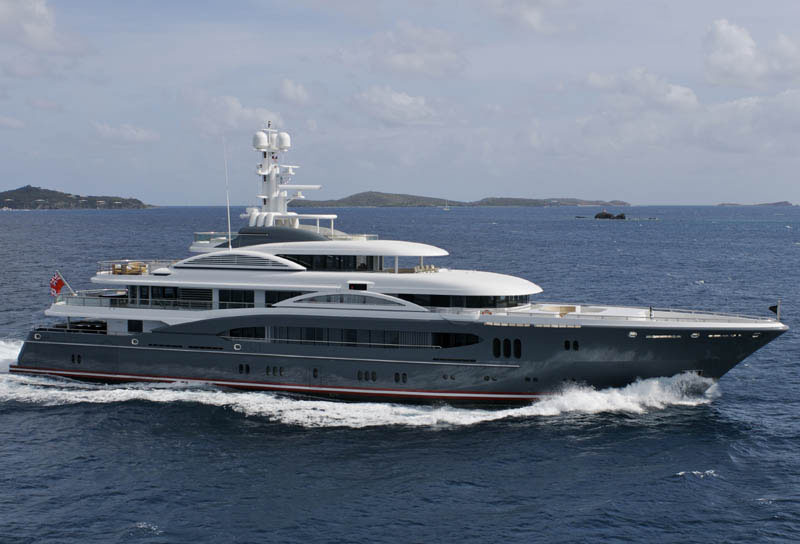 The 223 foot Feadship’s vessel designed by De Voogt Naval Architects signifies high-calibre yachting boasting six decks. 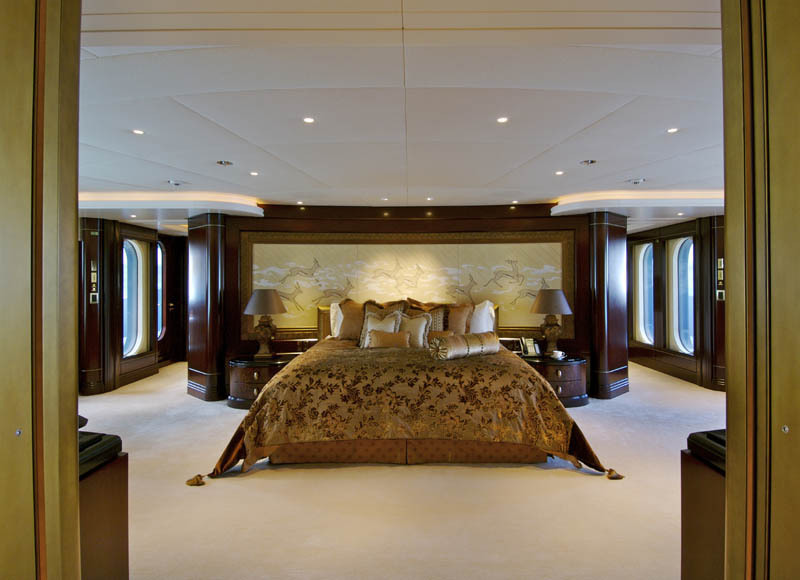 The interiors decorated with artistic elegance and fine details such as opulent cherry wood staircase and a rich blending of birch, maple and cherry woods throughout. 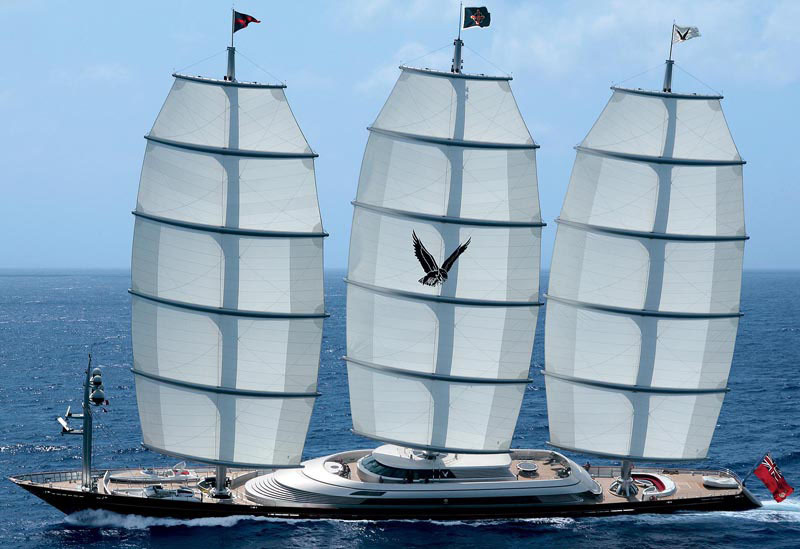 The Maltese Falcon is one of the largest sailing yachts in the world measuring 289 feet in length. 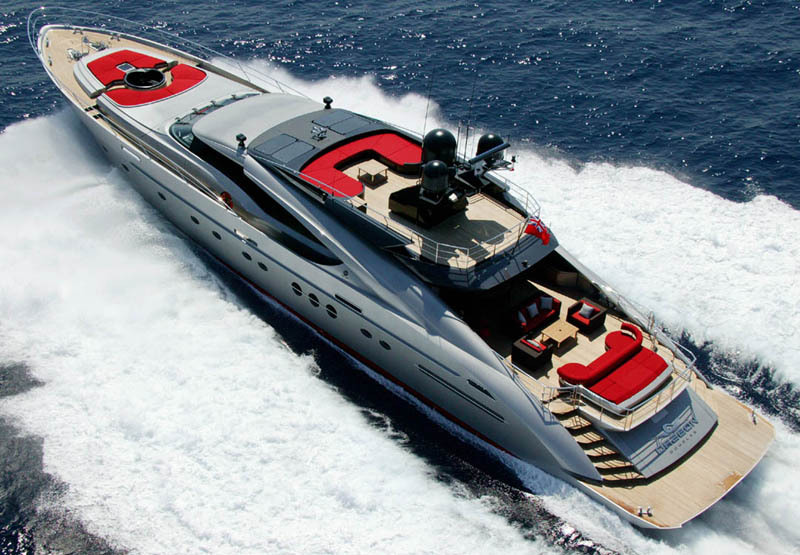 This revolutionary super cruiser offers luxurious quarters for its guests. 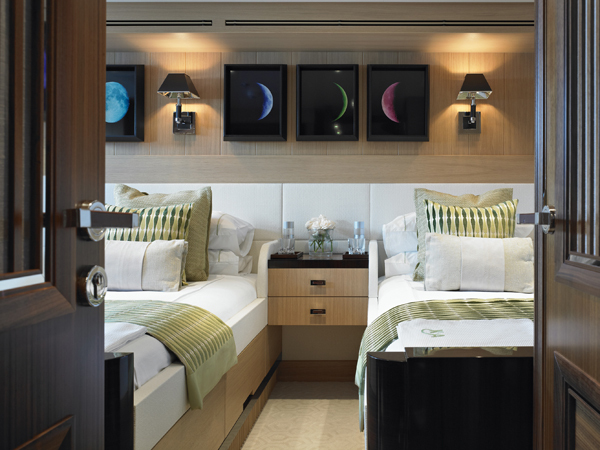 The interior design by Ken Freivokh Design is tastefully contemporary. 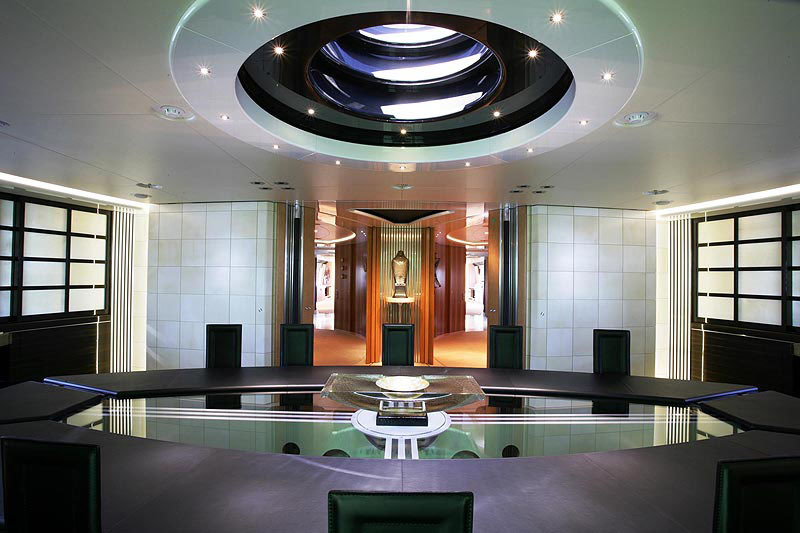 A circular stairway in the atrium unites three decks. 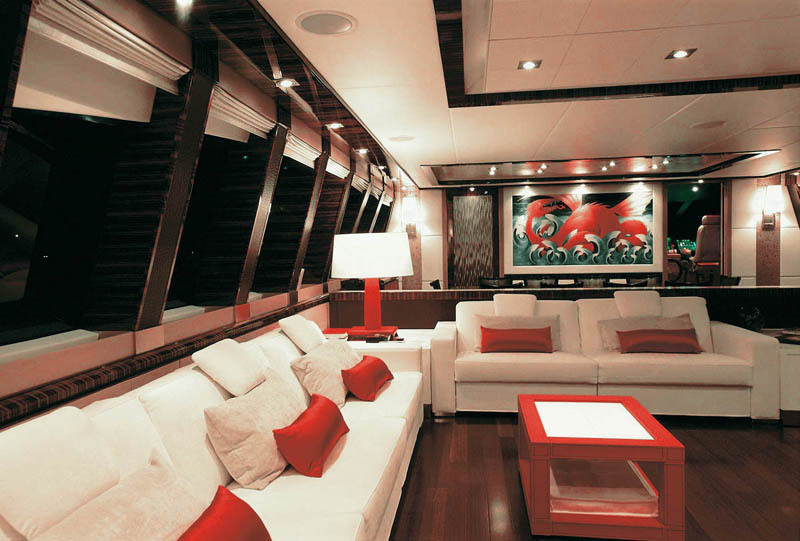 The spiralling effect is enhanced by the natural light which floods the area through transparent floors, starting at the top deck and cascading down to the decks below. 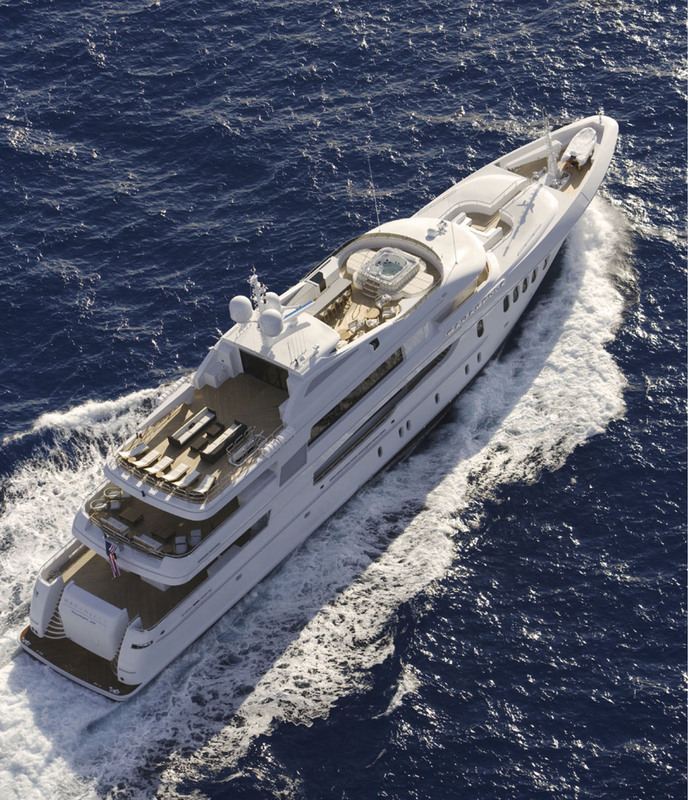 Trinity’s 196 foot “Bacarella” has a California-style interior by Bannenberg & Rowell Design that is laid-back yet sophisticated. 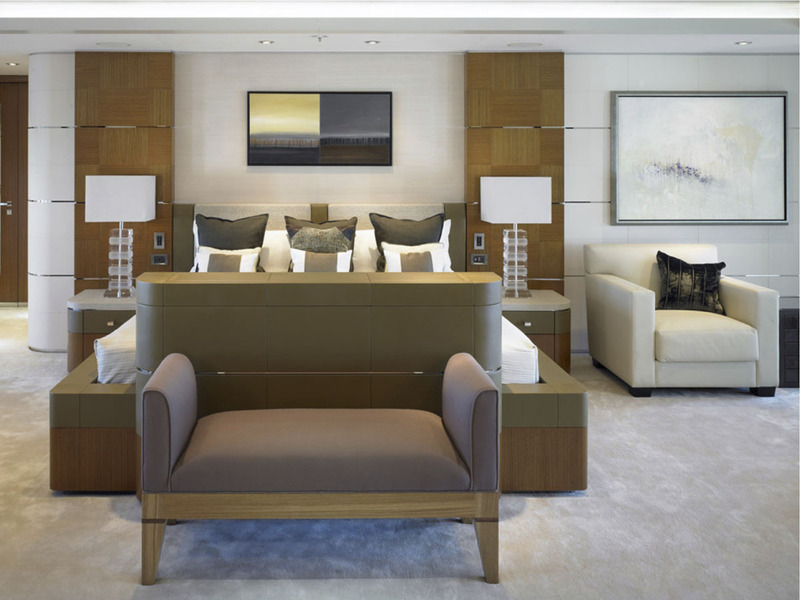 A palette of unusual materials and pale colours are used such as the textures of limestone and slate, bronze and grain of elm. 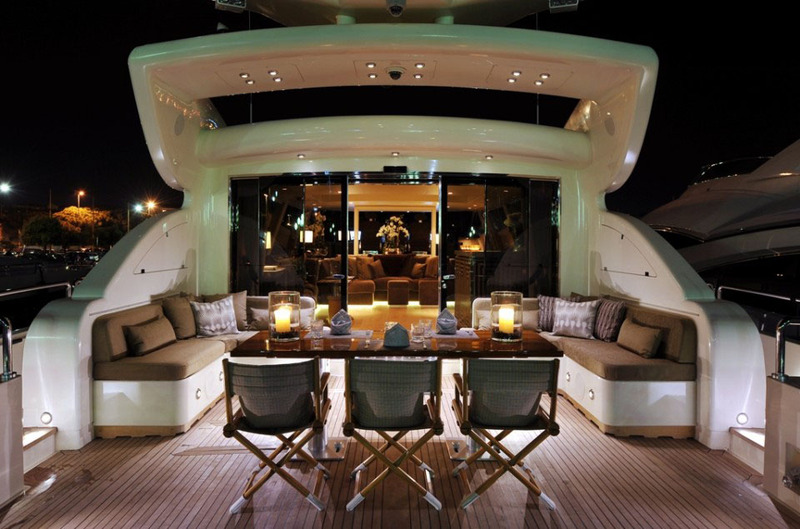 The design is both dramatic and soothing, seemingly simple yet intricately detailed.